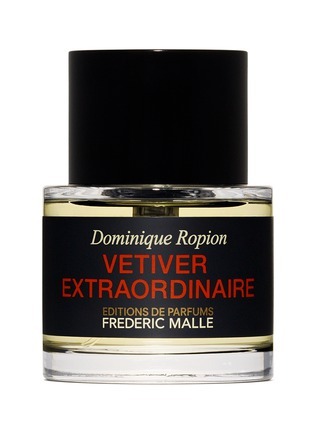 Refined by a synthesis of five woody notes and a use of vetiver in newfound quantities, this Vetiver Extraordinaire Eau de Parfum composed none other than by Dominique Ropion is ground-breakingly one-of-a-kind. An experimental addition to Frédéric Malle's Editions de Parfums designer's fragrance collection, this one redefines classic masculine scents with verve. Blended with three times as much of the ingredient than usual, it counterbalances the bitterness, replaced by an unexpectedly fresh and crisp finish.